How video games affect the human brain is always up for debate. Every few years, a study comes around that trumpets the supposed detrimental effect they have -- followed by a separate study that refutes those findings. A 2014 NPR article, "Playing Video Games Can Help or Hurt, Depending On Who You Ask," sums up the dissension: One study says that teens that play violent video games are prone to risky behaviors such as binge drinking or reckless driving--but another study says if a violent game's protagonist is "noble" (like, say, Spiderman), then they're not as inclined to act out. This emphasis on the negative overlooks something important: Video games are frequently a gateway to an interest in computers and, more importantly, coding. For example, that's the theory behind University of Colorado Boulder computer science professor Alexander Repenning's easy-to- use, accessible Scalable Game Design curriculum, which encourages students to build a Frogger-like game and simultaneously learn coding fundamentals. Such early exposure has had long-lasting impacts: A study from the Georgia Institute of Technology's School of Interactive Computing found that 43% of respondents said gaming had a "positive influence on their interest in computing." With computing occupations constituting the number one source of new wages in the US (according to code.org), it's no wonder that parents once frustrated by their gaming-addicted, anti-social kids are experiencing new hope for bright careers ahead. 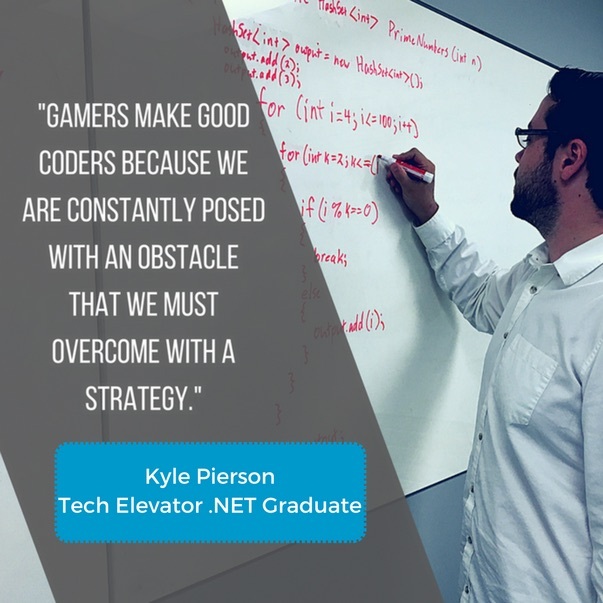 That was the experience of Tech Elevator coding bootcamp graduate Kyle Pierson, who recently began his career as a software developer for LMI. He calls video games a "stepping stone" toward his coding career. As a child, he remembers asking his dad to look up cheat codes for Twisted Metal 2 online. 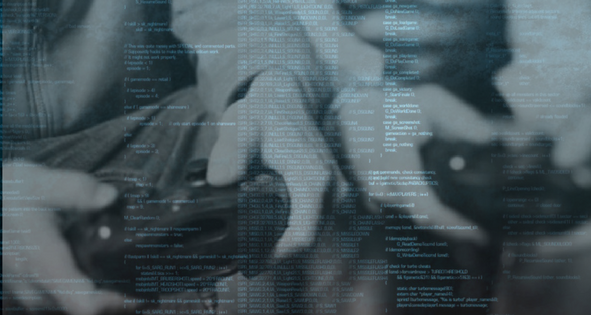 "When he found a webpage that contained those codes, I realized that the computer was like a library where I could get anything I wanted," he says. This innate curiosity led to him wondering how computer programs worked. "You can imagine my excitement when I found out my high school offered computer science classes--you mean I can create my own program!? I fell in love from that point on." Another Tech Elevator graduate, Matt Carlson, who is now writing software for Medical Mutual, decided to build a desktop computer for gaming, which piqued his interest in other aspects of technology. 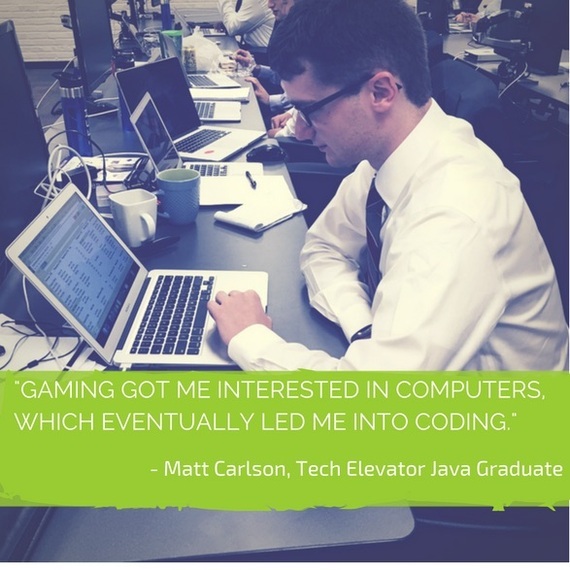 "Gaming got me interested in computers, which eventually led me into coding," he says. This common path of discovery is echoed by Cody Starcher of Multivarious Games, who is one of the organizers of the successful GDEX Midwest gaming expo. "I would like to think that most coders eventually started as some form of 'gamer', says Cody, "Be it the college kid who grew up playing Halo, or the industry veteran who was inspired by Zork and early arcades, there's just a passion that comes from seeing what computers and their programming overlords can accomplish." But what specific traits of gamers translate to success as software developers? First and foremost, innate curiosity and willingness to experiment are key. "Giving people the opportunity to play around with different stuff is one of the best things you can do," Facebook founder Mark Zuckerberg said in 2015. "I definitely would not have gotten into programming if I hadn't played games as a kid." Pierson, however, points out that it's important to pair this inquisitive nature with logic: Being methodical (and meticulous) about strategy--which he finds invaluable when gaming--is also vital when coding. "Gamers make good coders because we are constantly posed with an obstacle that we must overcome with a strategy," he says. "We like logic because with it, we are able to understand the why. Something had to cause this unintended outcome--now I'm going to understand what had to happen to cause it. Without logic, we would just randomly try different methods when something didn't work; without understanding why it didn't work, all you have is random chance." To avoid getting discouraged, Pierson cites motivation, resilience and flexibility as important characteristics to possess; above all, however, he stresses that a love of problem solving is intrinsic to both gaming and coding success. "If you don't have a desire to solve a problem and just want the solution, you will not like coding," he says. "Having a solution that never fails in a game? Most boring game ever." Gamers diving into the nuts and bolts of how and why things work use critical thinking and pattern recognition. The latter trait in particular is invaluable to great coders, Carlson says. "Many games have patterns that a good gamer will notice and take advantage of. It could be to defeat a boss in Dark Souls or to maximize profits in Elite: Dangerous. This is useful in coding because even when you are building a new program there is always some similarities to other work you have done. You are not rebuilding the wheel every time you code, and being able to recognize when to use certain datatypes, collections or certain types of joins in SQL is fundamental to coding." Plus, gamers also have "a desire to constantly improve," Carlson points out--for example, optimizing gameplay "to be more efficient"--a trait he's found invaluable when coding: "There are always new techniques and software that can be learned to improve your coding ability." That's important: Those who play video or computer games are amassing valuable skills with real-world applications. In 2010, the Federation of American Scientists touted video games as a way to help people develop sophisticated skills needed in the workforce: "The success of complex video games demonstrates that games can teach higher-order thinking skills such as strategic thinking, interpretative analysis, problem solving, plan formulation and execution, and adaptation to rapid change." All of these skills are also essential to creating good coders, says Keith Blake, founder of the CLE Game Co-Op. "A good coder understands the relationships between the environment in which they're working, the goal they seek to achieve and the path they need to take to get there. Whether it's building an app for Android or iOS, or a backed server app running behind the scenes, each has its own set of rules, requirements and restrictions within which the coder has to achieve their goal. Gaming is remarkably similar. We're learning how to navigate a path to a goal given a specific set of rules. This is true whether it's hopscotch on the sidewalk, Pokémon Go on a mobile device or League of Legends at an eSports competition." 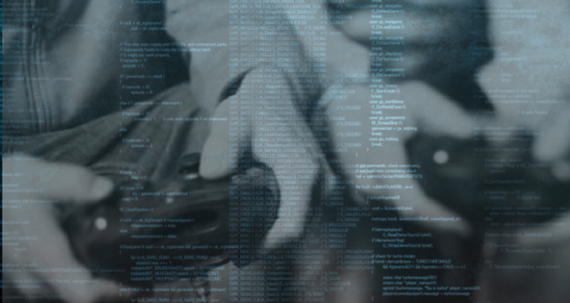 These are just some of the parallels between gaming and coding, of course--in fact, there are countless ways being a gamer makes you a great candidate for learning how to program. Wondering if you're a good fit for this exciting and rapidly growing career field? Try Tech Elevator's quick, free, mini-aptitude test, which provides insights into your coding potential.